As far as I can remember, I have always sought to figure out the laws. Scientific laws and any law in any discovery, in any profession and in any realm. I also knew that in any realm of science, one needs to do various experiments to discover the laws and how an entity can finds its way to move forward. Then I turned 16 when I got to know the People’s Mojahedin of Iran (PMOI/MEK) during the Iranian Revolution in 1979. In those days, the famous figures in the PMOI who were quite popular in every high school and university and everyone talked about them, were Fatemeh Amini and Mehdi Rezaii. Two young souls who had endured all the pressures of imprisonment and torture in the Shah’s prisons and turned into mythical symbols for putting up a staunch resistance. Again, I was looking for the laws governing the Mojahedin: How could they resist in prisons and not give in? What is their motive? How and with what motive do they endure the pain of torture? Where do they find their courage and their energy? So, I continued my studies on the PMOI and started my activities to support them. Then, in a hot summer morning in July 1981, I got arrested at the age of 18, along with two of my friends in Tehran. The three of us were students. We were detained on the charge of sympathizing with the PMOI. That day, I could have never imagined that I would be spending nine whole years of my life behind the bars. Nine consecutive years in Evin, Gohardasht and Qezel-Hessar prisons. In addition to the painful experiences, there were also many incidents that filled you with pride and honor. One such vivid memory belongs to my dear friend and fallen comrade, Zohreh Haj Mir-Ismaeli. Zohreh was a young lively woman, always smiling, energetic and happy. One day, one of the prison guards decided to teach her a lesson because she had dared to ridicule them and their ways. He wanted to silence Zohreh and terrorize the others. So, they brought in a bench and tied Zohreh to it in front of everyone’s eyes. And they began to flog her with a cable. 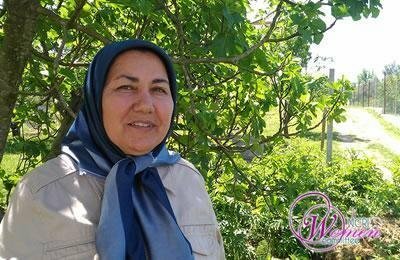 I was freed from jail in 1990 and after much effort, I finally managed to join the PMOI in Camp Ashraf. Now, after years of experience and activity in the movement, I would say that I have found the answer to the main question I had in mind about the laws of movement in the PMOI. The law of movement is having a cause; a cause that is based on sacrifice, honesty, and paying the price in every stage of the struggle. It thus gives you the power to make a choice, stand up for it, pay its price and bring about change. This cause will certainly help us eventually triumph.